Rugged consctruction with simplicity of design provides longer life expectancy. These air powered hydraulic pump is designed for use with single acting cylinders and tools. Automatic overload valve protects hydraulic system componets regardless of air pressure. 1/4" NPT drain valve for air compressor tank. 1 x 1/4" NPT drain valve. 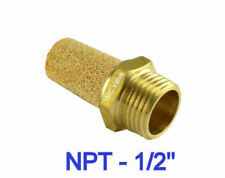 Size: 1/4" NPT. Detail Image. Color: As picture shows. USA, Canada, United Kingdom, Austrilia, France, Germany, Spain, Ireland, Italy, Others. Electromagnet Size: approx. 8.1 9.9 15.6mm. 1 x Mini Solenoid Electromagnet. Canada, United Kingdom, Austrilia, France, Germany, Spain, Ireland, Italy, Others. USA, Canada, United Kingdom, Austrilia, France, Germany, Spain, Ireland, Italy, Others. Pipeline connectivity without tools. High strength and hardness. Easy to connect and use. 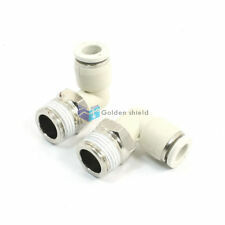 Includes a adapters 10mm threaded connections fitting. 1 x 2 Way Quick Connector. Material: Copper Steel. Raspberry Pi. Electronic Component. Default ON Switch (connected inside). It's not power plug. Don't plug directly into power socket. Default ON Switch (connected inside). 1 x Switch. Note: Due to the difference between different monitors, the picture may not reflect the actual color of the item. 3-phase / 380V /400V 16A. Suitable for :most air compressors. Due to the difference between different monitors, the picture may not reflect the actual color of the item. Piston structure, larger flow, more than traditional diaphragm about 30%. Use V-ring pistons sealed, good sealing effect, abrasion resistant, stable. 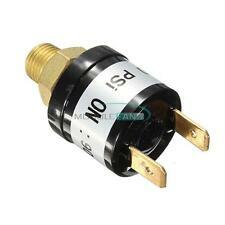 1 x Air Compressor Switch. The valve body structure with overflow port, can improve the depressurization speed. 5 x PC4 M6 Pneumatic Connector. Screw threaded: M6. When removing the pipe, Use the appropriate tool to remove the pipe ,using the outer hexagon of the pipe to remove pipe. After the pipe is connected, pull the pipe to confirm that the pipe can not be unplugged. 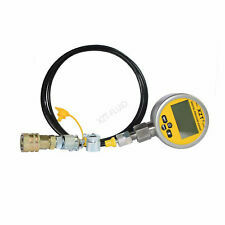 This guage is a economical digital pressure guage. 1 x Digital Pressure Gauge. Functions:backlight,on/off,units change,zero clearing. Working Temperature: -20℃-70℃. Detail Image. Backlight color:white. 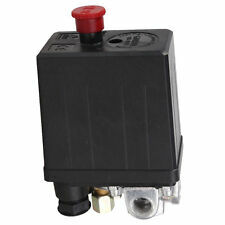 1 x Air Compressor Pressure Valve Switch. Colour: As shown. Inlet and Outlet Port: 1cm/0.4". - There is a red ON/OFF switch knob，convenient design for use. 2、The color may have different as the difference display, pls understand. Test Coupling: M10 1. Test Coupling: M14 1.5. Test Coupling: G1/4. Test Coupling: R1/4. Pressure Gauge: Dia. Test Hose Length: 1500mm/59in. 3 x Pressure Gauges. Test Connection: UNF7 / 16-20. 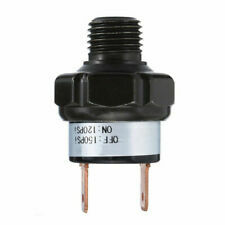 1 x Diaphragm Type Pressure Switch. Working Form: Pressure Adjustable. Pressure range: 0.1-1.0 MPA. Maximum power: 24VA, 100VA. Work tempertature range: -5-60 degree. Protection class: IP54. INDUSTRY MALL. Also note that monitor settings may vary from computer to computer and may distort actual colors. Default ON Switch (connected inside). It's not power plug. Don't plug directly into power socket. Wika 891.24.540 Pressure Transmitter ! WOW ! HAM-LET H-50-SS-N-1/2 Ball Valve 1/2 Inch CF8M ! NEW ! 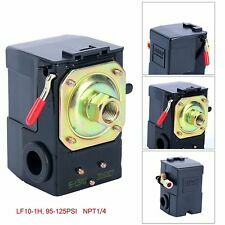 MAC PME-111JJ 120V-AC Solenoid Valve ! NWB ! 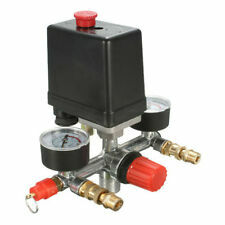 Numatics VCS2000100 8-Station Valve Manifold Assembly ! NOP ! FL Tool Holders DSA-3-8383/ST6301017R Hydraulic Chuck ! WOW ! Brooks 5860S Mass Flow Sensor Methane 0-30 SCFH ! WOW ! SMC NCDGBA32-0850 Air Cylinder w/Auto-Sw 1-1/2" Bore 8-1/2" Stroke NIBag ! New ! Industrial Automation Canada is a Division of IndustAutoCo Inc. Industrial Automation Canada sells factory new and pre-owned surplus products and develops channels to purchase such product. New in bag! Industrial Automation Canada is a Division of IndustAutoCo Inc. Industrial Automation Canada sells factory new and pre-owned surplus products and develops channels to purchase such product. Destaco 82L25-1030000 Pneumatic Clamp 6 BAR ! WOW ! 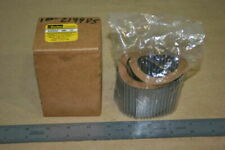 Generic M36X2.0X15mm Helicoil Bag of 100pcs. ! NOP !